Marlene MacLeod of Sebastian, Florida. SEBASTIAN – Marlene MacLeod, 85, of Sebastian, died peacefully at Hospice in Saint Petersburg, Florida on January 17, 2019. She is survived by her son, Robert MacLeod and his wife Blair. Also, surviving are her granddaughters, Heather Vidal and Lauren MacLeod; her great-granddaughter Juniper Vidal; sister Patricia Tiernan and her husband John; and nieces Josephine, Anne and Ellen of Toormina, Australia. Born in Sydney Australia on January 6, 1934, Marlene MacLeod moved to the U.S. in 1959 and, after living in various other countries, became a naturalized U.S. citizen in 1968. Before retirement, she was a business owner in Westport, Connecticut and Sebastian, Florida. In addition, she was a licensed Florida real estate broker. Her family is very grateful for the loving treatment provided by Hospice. This organization is truly made up of angels. 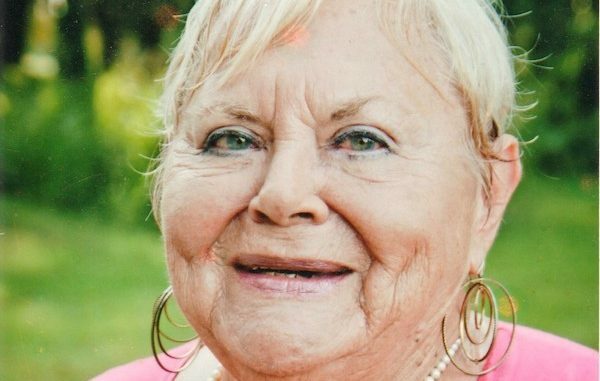 Services: A private memorial service will be held at her sons home at a date to be determined. No flowers by request. Any donations may be sent to charities of choice.